During the week, cyclists will ride a different Greene County trail each day. XENIA — Greene County Parks & Trails is set to host two week-long bike camps for kids, beginning next week. 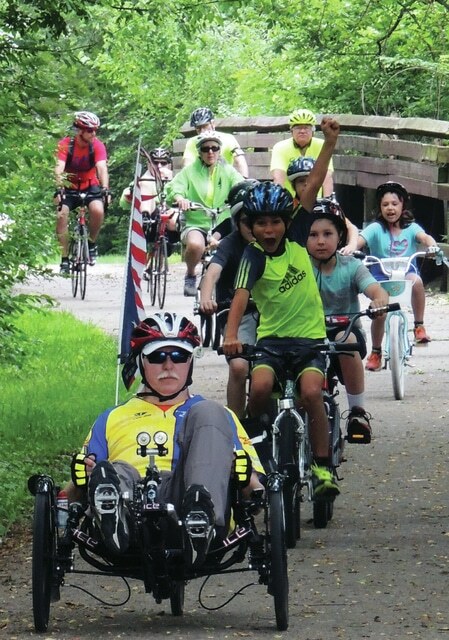 Participants will learn about cycling rules, safety and bike trail etiquette during the camp, from 9 a.m. to 2 p.m., June 8-12 for participants ages seven to nine years old, and June 15-19 for those 10-14 years old. The camps will be based at Xenia Station, 150 S. Miami Ave.
During the week, cyclists will ride a different Greene County trail each day with a stop for a brown bag lunch and at a local ice cream shop. The cost for the camp is $30 for Greene County residents and $40 for non-residents. Donated bike helmets will be given to participants based on size availability. Participants must know how to ride a bicycle. For more information, call Greene County Parks & Trails at 937-562-6440 or email jbowman@co.greene.oh.us.